In the 1990’s, the American economy was at one of the highest points it has ever been. 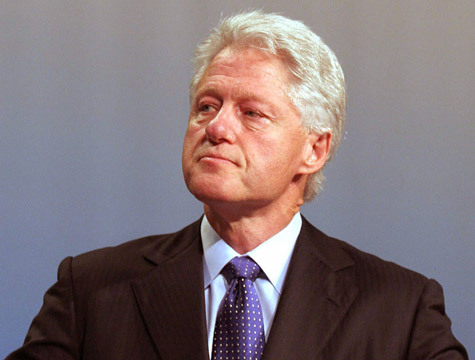 And the man in charge of the nation when the economy was peaking was President Bill Clinton of the Democratic Party. Arguably the most charismatic and one of the most liked presidents in American history, Clinton reached out to President Barack Obama and his administration this weekend to offers words of advice in these tough economic times. Clinton made it perfectly clear that it is essential for Obama and the White House to do whatever it takes to avoid having the debt ceiling not be raised by August 2nd. Clinton said that because he is not currently intertwined with American politics that he is not exactly sure what the specific issues are behind closed doors that the public is unaware of and thus cannot give Obama a specific course of action. However, Clinton said in no uncertain terms that Obama should stand his ground against Congress and make sure that the debt ceiling gets raised in less than one month. The former President based his advice on the fact that if the debt ceiling is not raised and the United States could not pay off its bills in full, then the credit of the country would suffer. As a result, interest rates might raise in future deals and force the nation into a deeper debt and hurt the economic situation even more. Clinton went on to bash the Tea Party and their attack on Obama’s health reform. He praised their good politics, but said that the games were hurting the economy and were not solving any problems. The husband of Hilary Clinton also advised Obama to go along with Republicans on their desired spending cuts that would in effect give the government upwards of eight months to work with before the debt ceiling issue would need to be addressed again. Clinton made it very apparent that true economic reform is not possible in four weeks. Clinton also suggested that for true progression to be made, Medicare needs to be revamped and Republicans must agree to get rid of tax loopholes. There are a lot of options for the men and women of Congress that they could take advantage of to fix the spending deficit and debt problems. However, for the best possible results to happen, political games must be put to the side completely and Democrats and Republicans must finally work together as a team for the good of the United States today, tomorrow, and beyond.